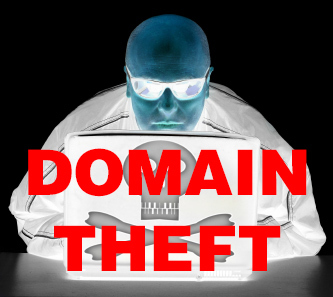 Stolen domain gets peddled for $1,000,000 bucks. Someone just flushed $1,000,000 dollars down the drain, after buying an apparently stolen domain name. Subsequent posts and responses to comments do not disclose the domain, but IP attorney John Berryhill has an indication it’s a NNN .com. The domain buyer who wired the $1,000,000 dollar amount via an expedient wire, says they did so because the seller transferred the domain to them first; no escrow or any other formal agreement has been utilized. Whether the domain is stolen or it’s a scheme by the seller to keep both the domain and the $1,000,000 dollars remains to be seen. Always use a reputable domain escrow, such as Escrow.com, to ensure buyer and seller stick to their agreement and that there is a track record of the exchange. For updates on this ongoing incident visit NamePros. Update 6/27/2017 : The seller states that the domain wasn’t stolen; more details about the alleged sale. Update 6/30/2017 : 988.com is confirmed stolen. Black rice domains : Did 988.com just sell for $1,000,000 dollars? Should you use #Zelle as a payment method for your #domain sales? Use an escrow not help more on such scenario. I know because it happened to me after buy a domain using escrow.com many years ago, few months after the true owner discovered his domain was stollen and my registrar given back the domain. The last to pay a stollen domain is simply the loser. The only thing is really make your due diligence when buying a domain. But isn’t there no / little recourse for getting one’s money back in this situation, even when using a sales agreement or Escrow.com ? Kevin – I’m guessing the fraud department of Escrow.com would have flagged the transaction. The parties would have to get verified, especially before a transaction of this magnitude. No recourse when the stolen domain has been flipped by a chain of domainers who get abused themselves. What happened to me, I was the second buyer. It’s not an exceptional case, stolen domains use to change hands quickly. This issue has been resolved already and Mr Cyberian post that today. I’ve seen legal cases where a consumer who buys a product in good faith, that later turns out to be stolen, is allowed to keep it.  I’m not sure if the same holds true with domain names but would be an interesting case. If that does happen, the rightful owners recourse would be against the domain thief (who likely won’t be able to pay) or possibly against the registrar where the domain was stolen and transferred from.  Yury – Stolen domains can be reclaimed years down the road, and no – it’s not allowed to keep items that are known to be stolen. At least, not in the US and most of Europe. Francois – Sounds like a good reason now that Escrow.com has implemented identity confirmation requirements. And there is no question about the value of Escrow.com in ensuring payment is only made when the domain is clean. Check out the Concierge option. Make Dream – I don’t believe anything was resolved. From my understanding, the seller wasn’t expecting the attention he received. As no information has been released on the actual domain, I consider this to be a lesson to everyone: always use escrow or a lawyer to exchange a domain. Ram Babu – Digital assets such as domains aren’t covered by PayPal. Especially when a domain is stolen. I think this issue has been resolved. Glad, the original thief was found. I read the thread on Namepros and followed here, lol.